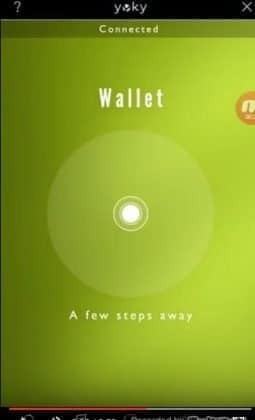 Has it ever happened that you woke up one morning, managed to tuck yourself into an Uber and reached your office only to find that you left your wallet at home? 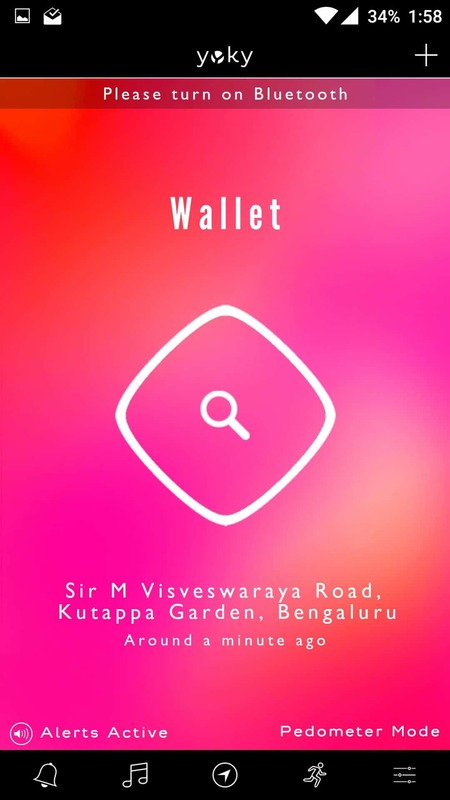 Do you know how excruciating it is to know that your home is some 15 km away (if you’re in Bangalore, it could mean eternity to reach) and you cannot do anything but crush a paper ball and eventually play Paper Toss? Even if you’ve experienced something remotely similar, hold your breath- Yoky is here to help you overcome your forgetfulness. 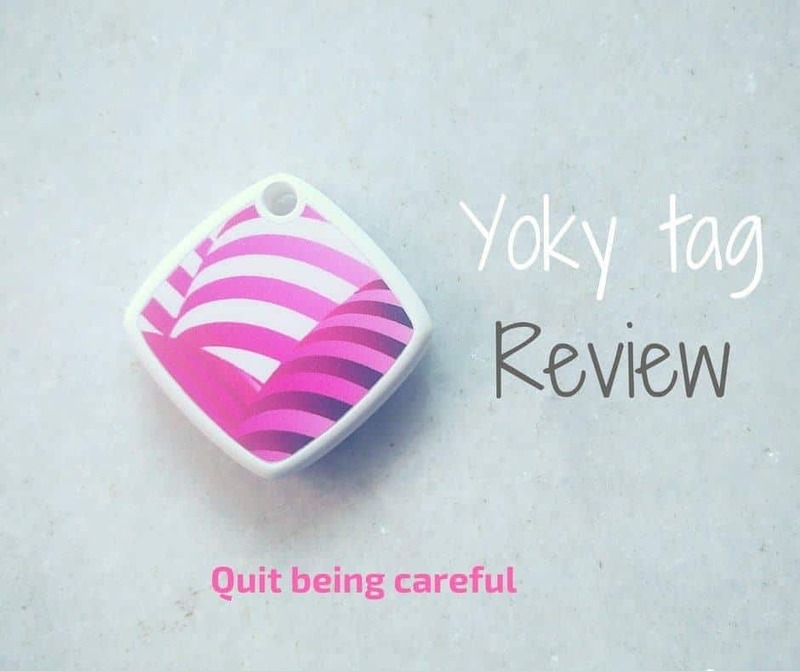 Yoky is a beautiful handy tag that you can attach to your keys, wallets, cards or basically anything that you tend to forget and can’t live without. 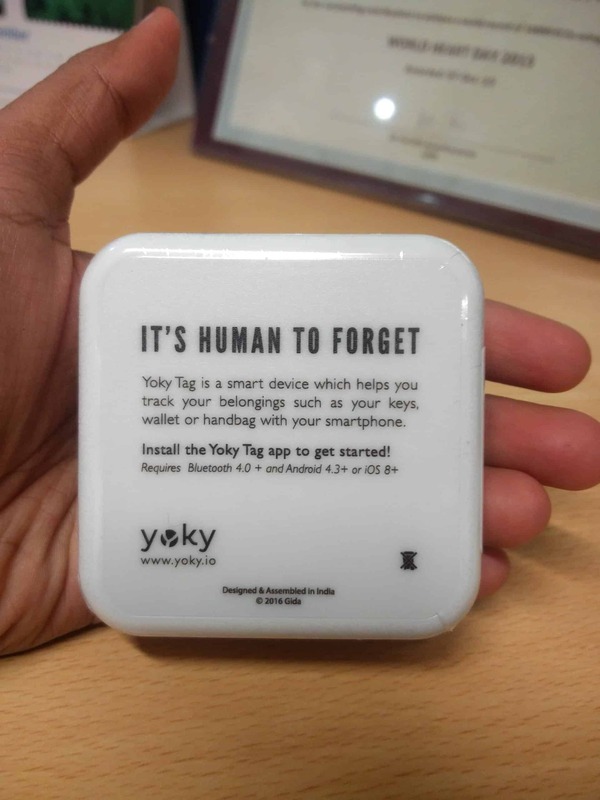 The tag communicates to Yoky app(compatible with Android 4.3+ or iOS 8.0+) through Bluetooth and signals every time you leave your belongings away. A simple, neat idea that is now brought to reality at a facility in Rajajinagar. 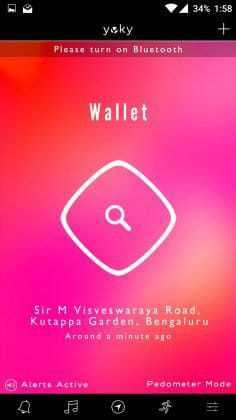 Yoky was created by a team based in Bangalore and was launched in July 2016. 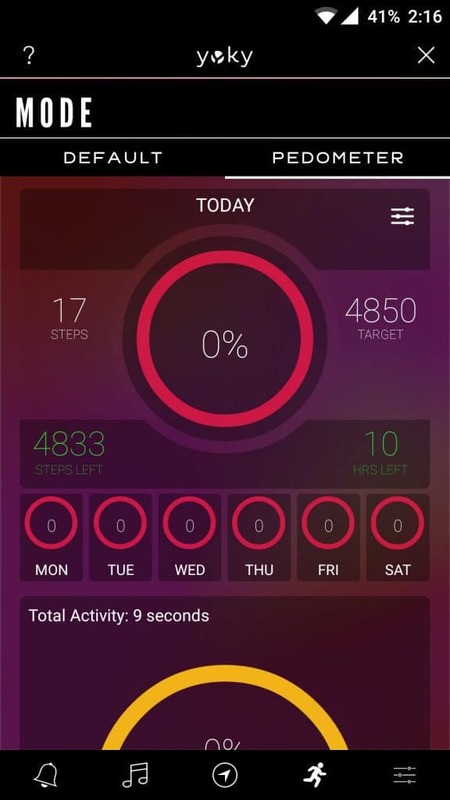 It uses Bluetooth low energy (BLE) thereby reducing battery drain in your smartphone while you leave BT on. 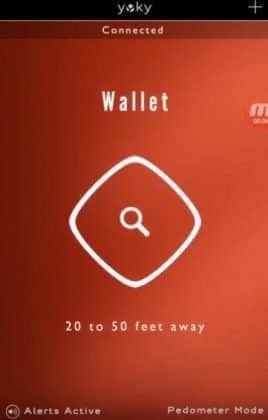 Not only does it help you identify your belongings, it also helps locate your phone if you have the tag with you. 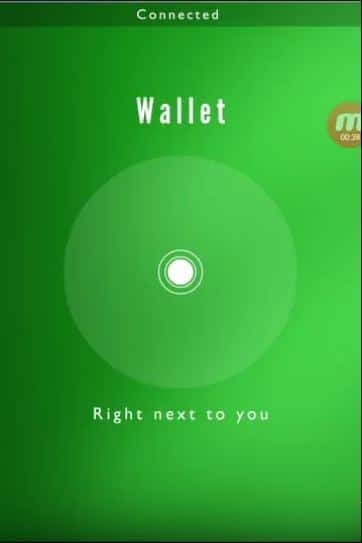 In case you’re in office and you leave your wallet and go, both your tag and the phone would start beeping. With the best-tuned antenna on offer, Yoky can find your tag anywhere in the straight line distance of 150 feet. 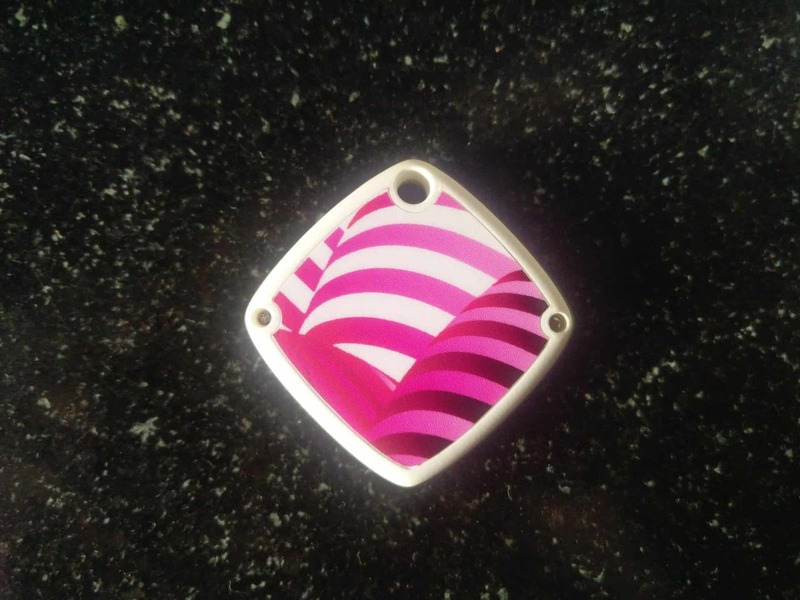 And don’t you worry – the beeps and sounds are completely customizable – I’m sure no one likes the hospital alarms and so you are free to choose different tones for finding the tag, phone if the tag is out of range etc. I don’t like the color of this tag. What If I’m at home and the tag beeps because I moved away from it? If you’re a “Nobody ain’t gonna call me on a holiday” sort of a person, calm down! Yoky’s got you covered. You can use the ‘Safe Location’ feature – Use your GPS, add your home/office to your ‘Safe locations’ and the tag won’t beep if left behind. 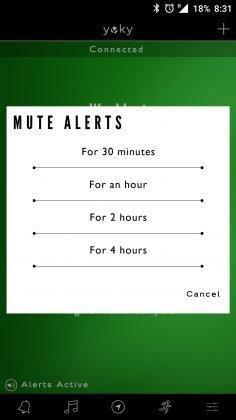 You can also mute the alerts for few hours if need be. 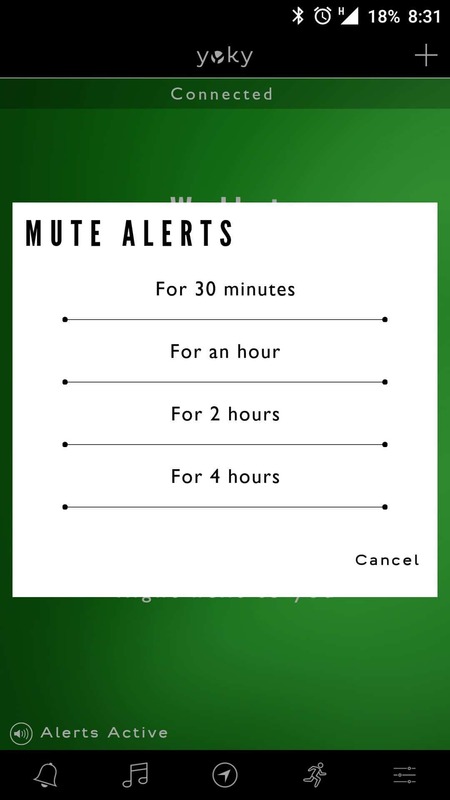 Enough of spam calls, let alone unnecessary beeps. We feel you, brotha! 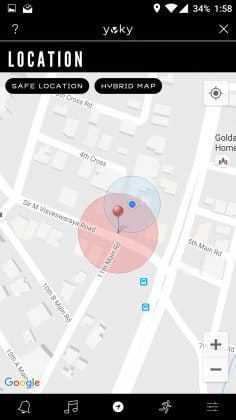 What if my Bluetooth was not on, the tag wasn’t connected and now I’m not able to find it? 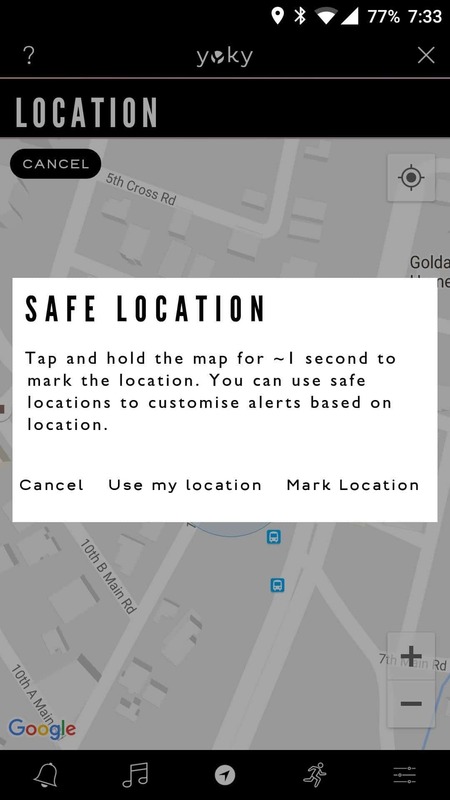 Like Whatsapp showing your ‘Last seen’ to that stalk someone, Yoky app would show the last seen location and time of the tag. But what if someone stole it before I reached the place? Well, something is better than nothing. You don’t want to be stuck without a clue, do you? Or be pre-emptive and at least have your Bluetooth on next time silly. 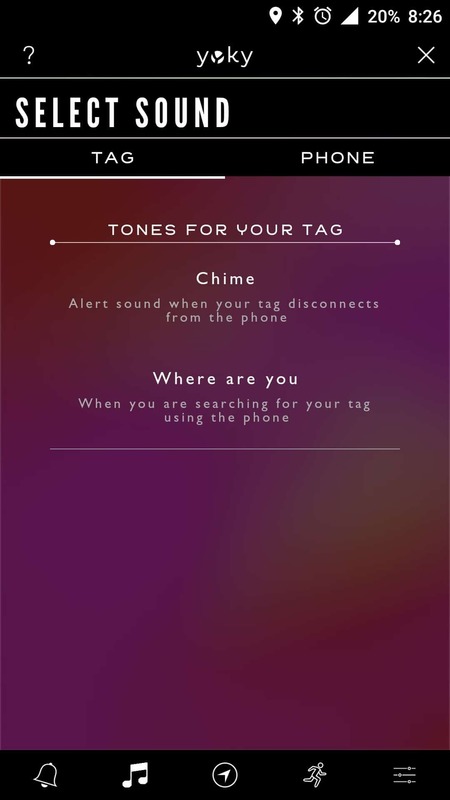 What if my tag is connected to my phone but I cannot hear the sound? 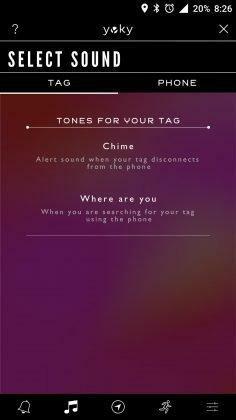 If you’re searching for the tag and the sound isn’t audible for some reason, you can carry around your phone while you search for it. 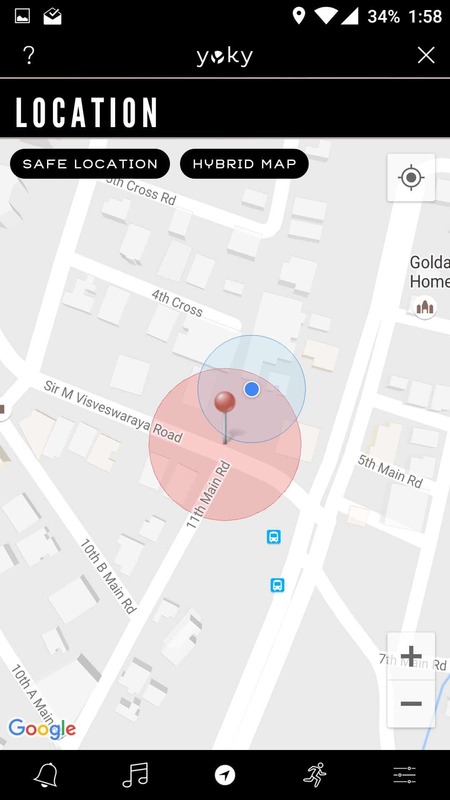 The circle around the dot in the app indicates the distance between you and the tag. The closer you are, smaller the circle is. 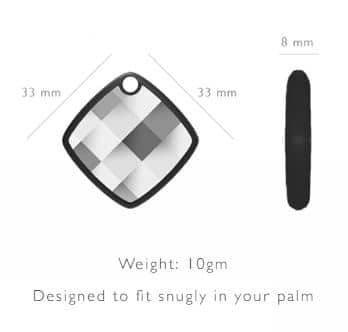 So, imagine you’re wearing a Sherlock cloak and slowly move towards the direction that reduces the size of the circle. In that gut-wrenching scenario where your phone is on silent mode and you have zero clues, shake your tag. 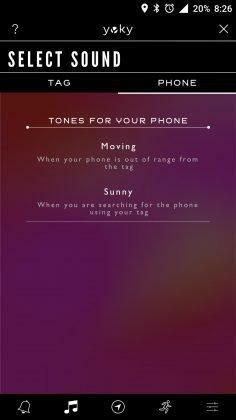 If the phone is connected to the tag, you will hear the beep that will get higher in intensity the closer you move to the phone. Basically, like a metal detector. Once you find the phone, you can shake it again and make it stop beeping. 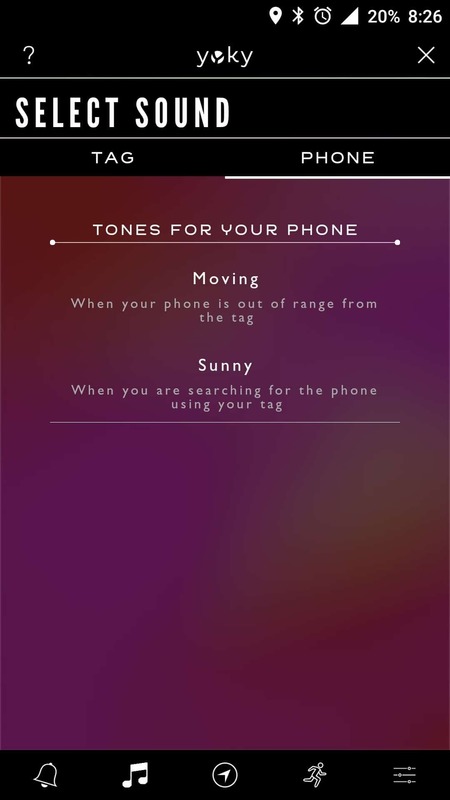 If you shake the tag and hear a long beep, it means that the tag isn’t connected to your phone. I forgot where my phone is and it wasn’t connected to the tag. What do I do? Shake the tag. Shake it like Shakira. Think of the times your mom told you “YOU GOT TO BE MORE CAREFUL”. Say that to yourself again and go back to sleep. You’re on your own. If you still have some imaginary weird situation which I haven’t covered in this long post, please comment and let me know. I shall have those queries answered. 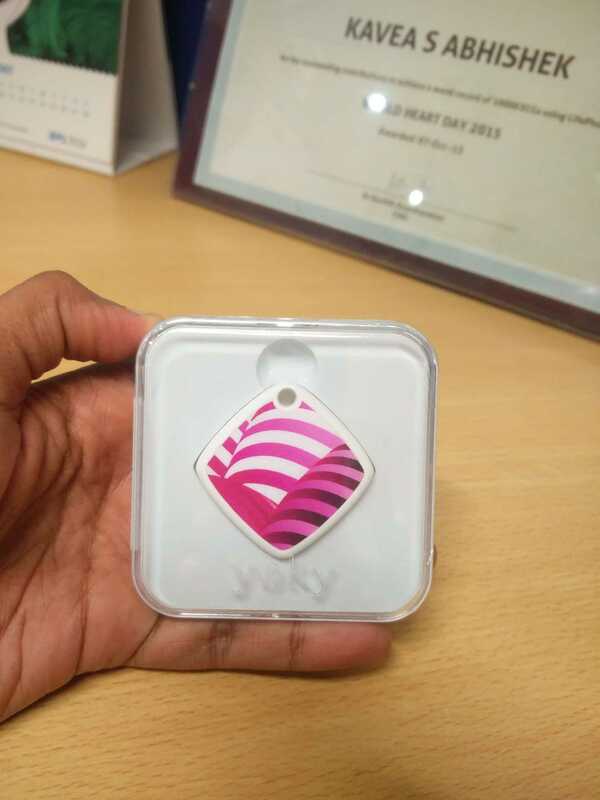 With a 1 year warranty, the tag is priced at INR 999 and is currently available on Yoky website.The tag has a 1-year replaceable battery and is water resistant as well. What are you waiting for? Say goodbye to those boring diyas, candles, crackers etc and gift Yoky this Diwali! 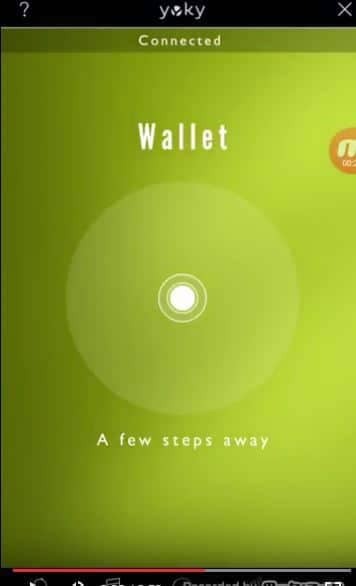 One of those simple and neat concepts that have taken life. 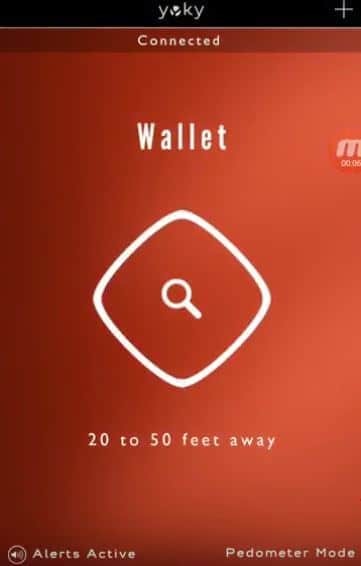 The app and the hardware does what it is required to do - Although there are issues when there are two or more concrete walls between the app and tag, in most situations, the tag will have your back.